After thirteen-year-old Charlie Hall's mother dies and his father retreats into the silence of grief, Charlie finds himself drifting lost and alone through the brutal halls of junior high school. But Charlie Hall is not entirely friendless. In the woods behind his house, Charlie is saved from a mountain lion by a grizzly bear, a species thought to be extinct in northern Idaho. And this very unusual bear will change Charlie's life forever. 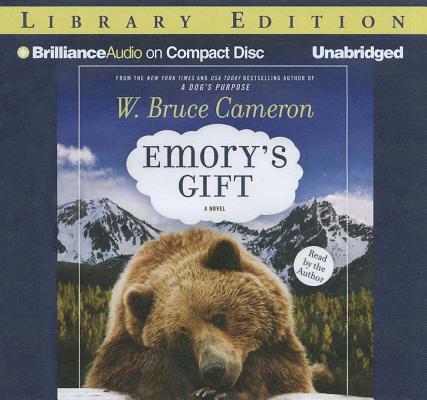 Deeply moving, and interwoven with hope and joy, Emory's Gift is not only a heartwarming and charming coming-of-age story, but also a page-turning, insightful look at how faith, trust, and unconditional love can heal a broken family and can bridge the gaps that divide us.